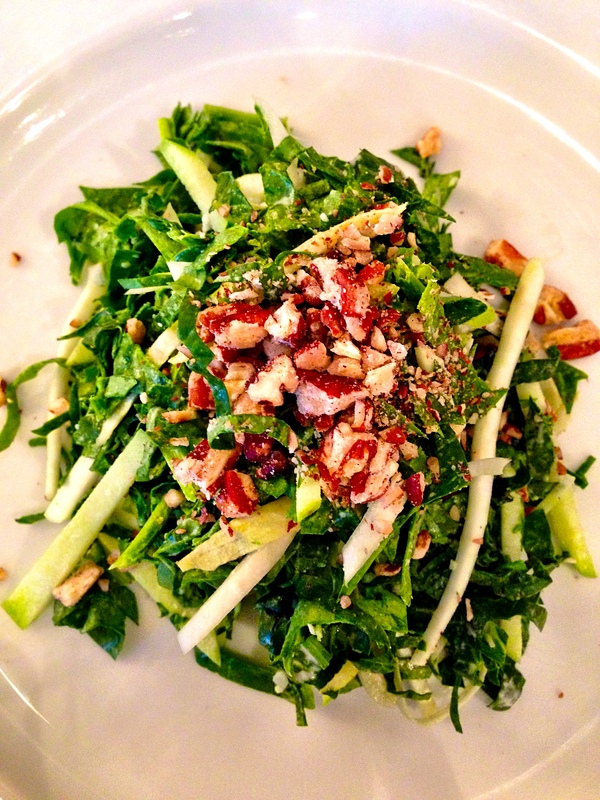 Julienne spinach, apple, celeriac and endive, toasted pecans with aged gouda dressing. It’s key to julienne the veggies right before serving or they will lose all their texture. So pretty.